Why I spoke in Samoan: P.M.
Held at the Millenia Hotel last week, the workshop was in partnership with the Public Service Commission. According to Tuilaepa he was invited to share his views on integrity and good governance but he decided not to deliver the speech in English. “There was no speech in English but when people translate, its erroneous,” said the Prime Minister. Tuilaepa said when our Christ wants people to understand something easily he talks about the Proverbs where every subject is clear. He added that what the United Nations does is it gathers those that speak in English and only 10 percent of participants can understand it. The Prime Minister then spoke about integrity which includes honesty, attitude and what is best for everyone and not just for yourself. “I did not want to speak in English because it would lose the deeper meaning of the topic,” he said. Tuilaepa pointed out that a lot of our people speak English but do not understand it and when a palagi speaks to them, they don’t understand. He said it’s the same with Samoan. When they speak Samoan they don’t understand and they also don’t understand it when he speaks Samoan. The workshop started at 9 oclock in Hotel Millenia, and Tuilaepa said he was there right on time. He recalled that only seven people were present during the opening prayer and when it finished about 20 people were seated. After the prayers he took the stand and did not have a prepared speech. “I thought I’ll begin with integrity and honesty which starts from the scheduled time of the meeting at 9 o’clock,” he explained. “When the meeting started there were only seven people and when the prayer finished there were 20 of them. This is where your honesty is being questioned. 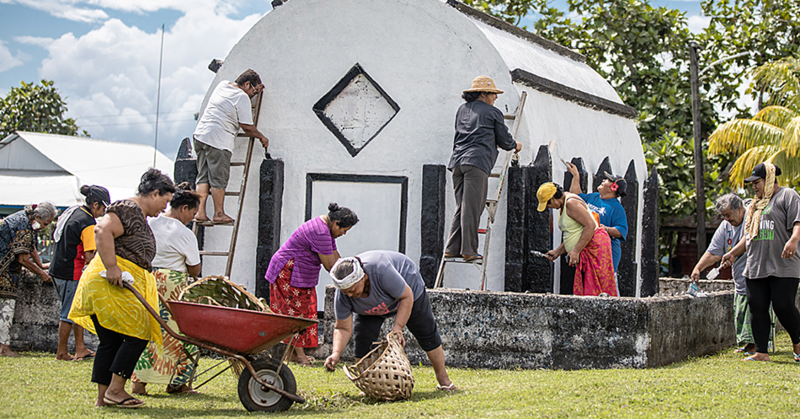 Why – it’s because government work starts at 9 o’clock and ends at 5.” Tuilaepa said the time he gets to talk to the media continues on after 5 o’clock and government working hours are from 9 to 5. Another example he used is an A.C.E.O. who starts work at 9:15am where he gets paid $44tala an hour. “If he came late by 15 minutes then at 10am he gets in the car to go do shopping for another 30 minutes and finishes work before 5pm,” he said. “It’s one hour that you robbed off the government. If there is one hour from Monday a total of $44 tala and another hour on Tuesday a total of two hours. If you took one hour from each day of the week in total you stole $220 tala a week. Tuilaepa said a lot of people who move up the ladder stop signing the time they started and the time they finish work. The Prime Minister recalled he also spoke about public servants making their telephone numbers available to the public. “You see if someone comes from Savaii and had to pay his fare and bus fare and gets on the boat and only needed five minutes of your time but was turned away you weren’t available. It’s not a good thing. The Prime Minister reminded everyone that these are the very people that you swore to serve. He said it was important that people know a phone to reach you at instead of being called but it says the number is no longer connected. “These are the different ways you can serve the government,” he said. Moving on to good governance, Tuilaepa said there are different sectors that the government is divided into to ensure that the groups focus on their work. He said if ‘Simi’ does not do his work properly he should be referred to Tafaigata. If he does good, he should also be rewarded and get a pay rise. Accountability and transparency is another crucial area in government’s service. He made reference to parliamentary reports that should be submitted on time. 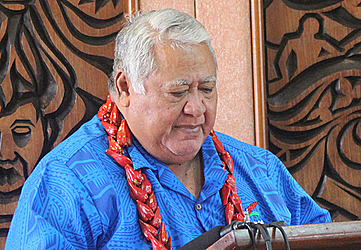 Delay in tabling the reports would be unfair to the Opposition, said Tuilaepa. “If after two to three years they haven’t submitted their reports it’s not good,” he said. “It’s not for the Opposition, our party and the Minister. If the reports are delayed the Minister will not know if the C.E.O. is conducting his work. Good governance as the Prime Minister believes also means enough consultation on legislation. He pointed to the Customary Land Lease bill that has been referred to the Parliamentary Committee for months to enable the public to share their views on the bill. “There are these ‘professors’ who continue to write about it (lack of consultation) as if it’s not being done,” he said. Tuilaepa said he moved a motion in parliament to have the legislation referred to the Committee for members of the public to share their views instead of what the party wanted, which was to rush through the legislation.